With Japan’s unified local elections scheduled for April and the House of Councillors election for July 2019, there is interest in how the results of these elections will affect the political situation in Japan. If Prime Minister Shinzo Abe makes it through this House of Councillors election, then as of November 20, 2019 he will have been the longest serving prime minister since the beginning of constitutional government in Japan. People would like to know how the Abe administration will deal with the issue of constitutional reform and implementing a system for accepting foreign workers. In foreign affairs, topics of interest are the G20 summit and relations with North Korea, Russia, the US, and other countries. In economics, the consumption tax hike is planned for October. 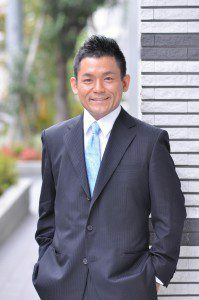 The FPCJ has invited Dr. Harukata Takenaka, a professor at the National Graduate Institute for Policy Studies (GRIPS), to speak about domestic Japanese politics in 2019. 【Reservation required: 40 openings available】 Due to the size of the venue, please apply in advance.